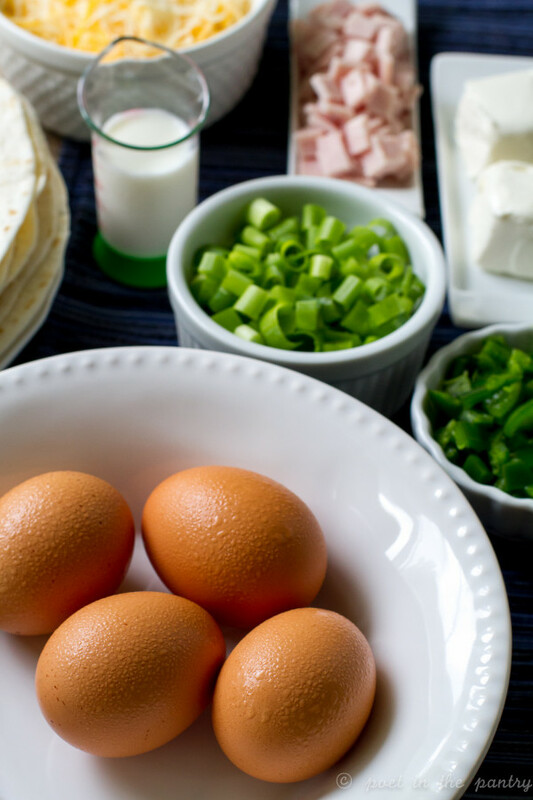 In my continuing partnership with my friends over at Jones Dairy Farm , I have another fabulous breakfast idea today to help you celebrate National Breakfast Month. Don’t forget to click on over to their site for a month’s worth of other amazing breakfast options–you’re sure to love them! This time, I’m offering you a breakfast that would be an ideal way to start the work day: breakfast quesadillas. 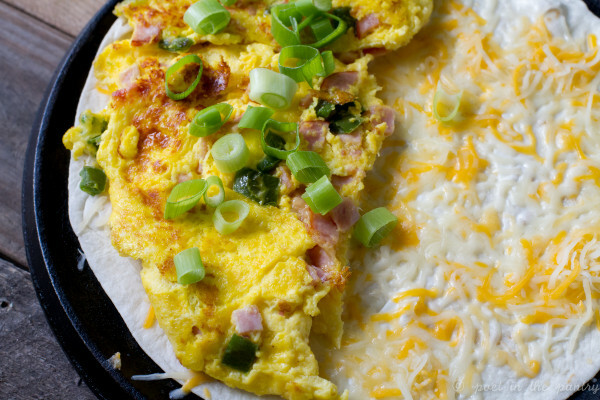 Quesadillas have become an essential part of our meal plan. We have them at least once a week, if not more–they’re just so versatile and are a great way to clean out the fridge. Pretty much anything you have that works with cheese can be thrown in a quesadilla (and if it’s sweet, use cream cheese or mascarpone!). The opportunities are limitless–your groceries are your guide. 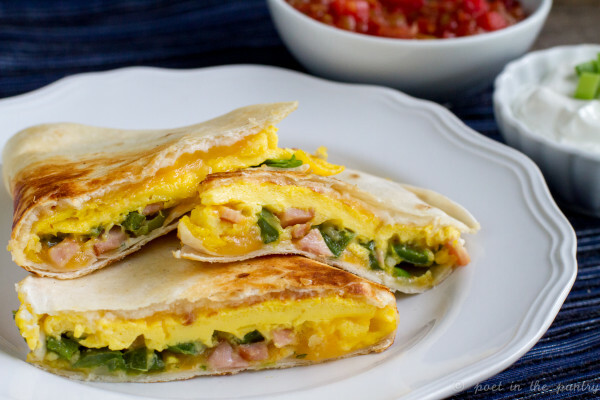 Jalapeño and Canadian Bacon Breakfast Quesadillas may sound a little tricky, when you read through the instructions. There is this whole business of having to flip the eggs, which, I’ll admit, is freaking scary. 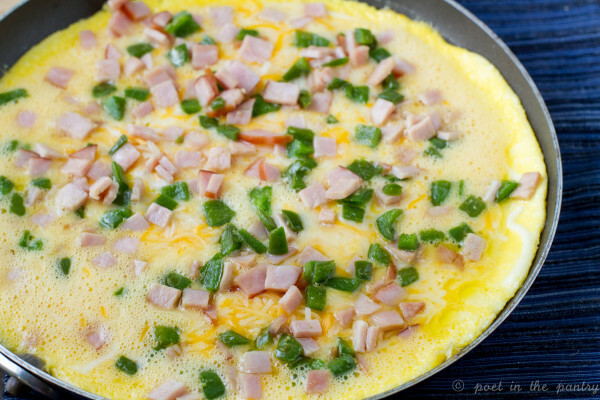 But there’s a trick to that, and it doesn’t involve a special flick of the wrist or any kind of magic to ensure you end up with an omelet instead of scrambled eggs. 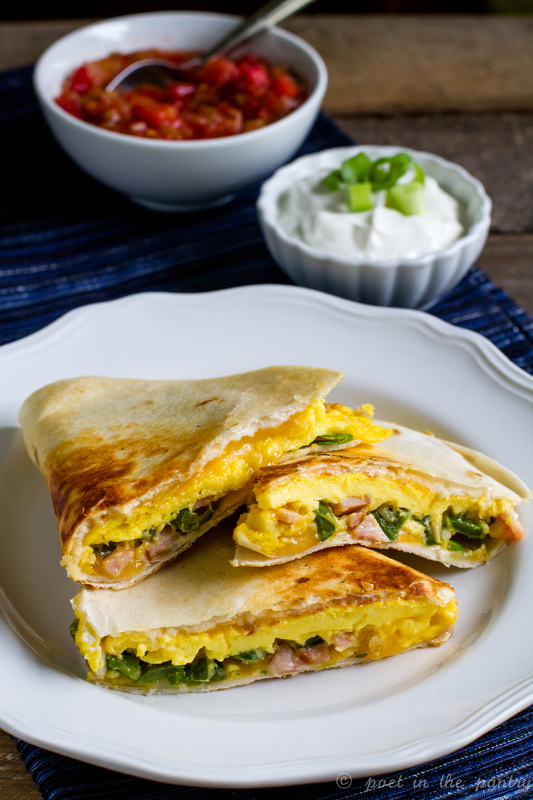 Click on through to Jones Dairy Farm’s website for my recipe for Jalapeño and Canadian Bacon Breakfast Quesadillas! That is my idea of the perfect breakfast, love this! Isn’t it just ideal? Thank you!